One of us was the puppy. 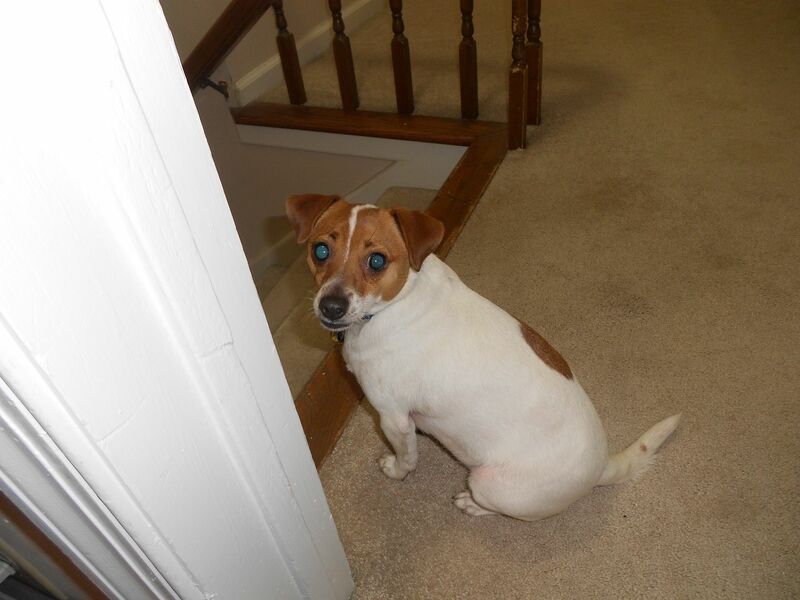 The other was the stairway. I'll let you guess who was which. 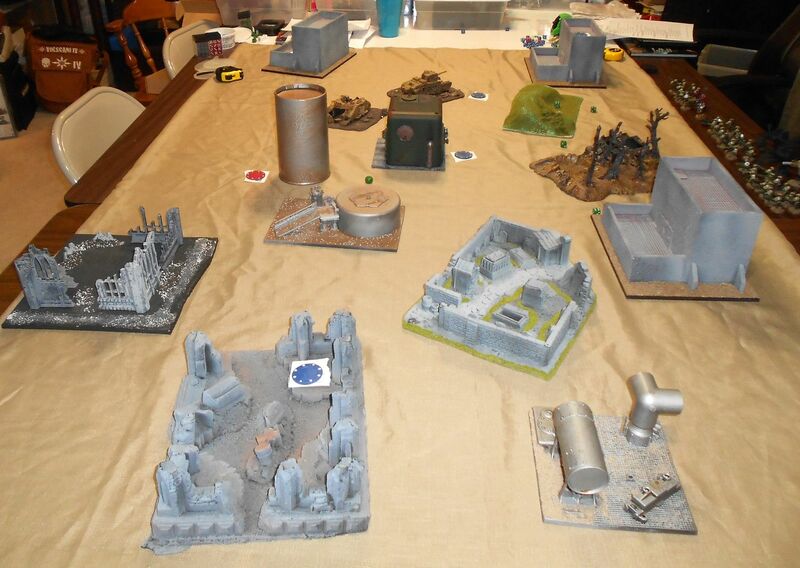 League game tonight at home with Eddie and his new Tau, 1850pts. We were originally going to do some mission from the Farsight supplement, but ended up rolling a random one instead and got the Scouring. 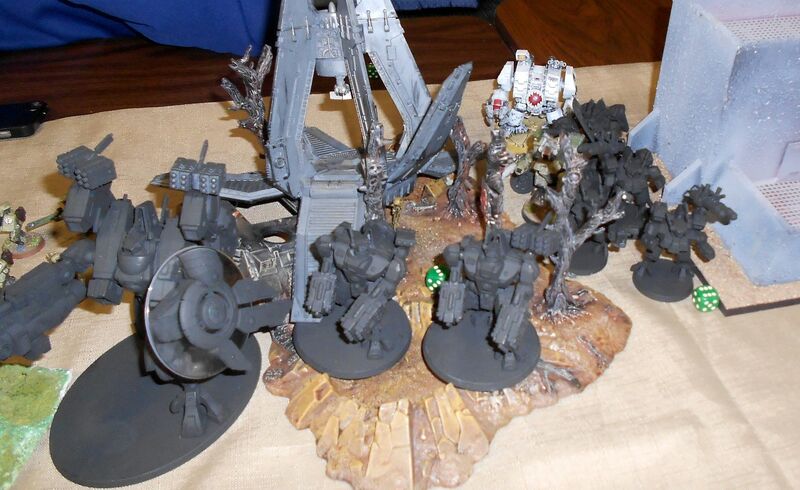 He had Farsight with four bodyguards with TL fusion guns, two riptides, 9 broadsides, three fire warrior squads, an ethereal. Deployment. I set up to either charge across or to scoot right towards the middle. 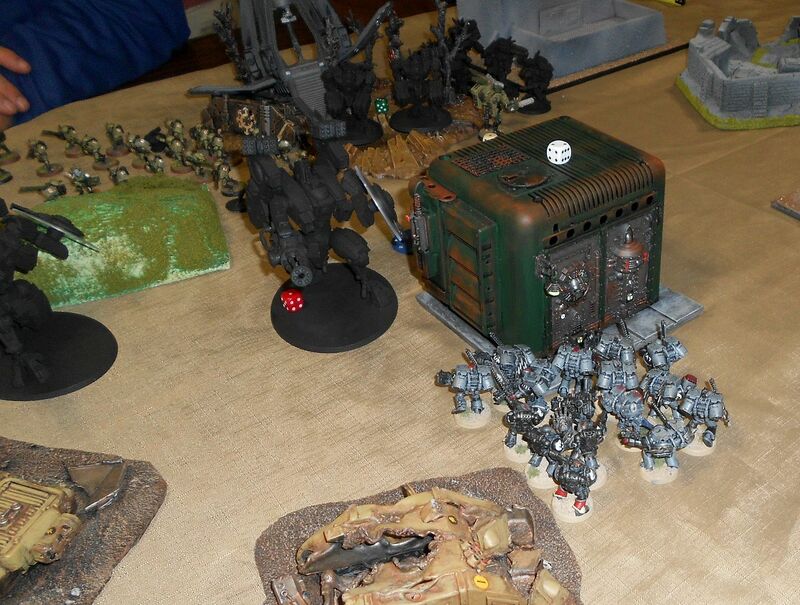 My hope was to be able to bombard his fire warriors away while keeping enough of my own guys alive to score. 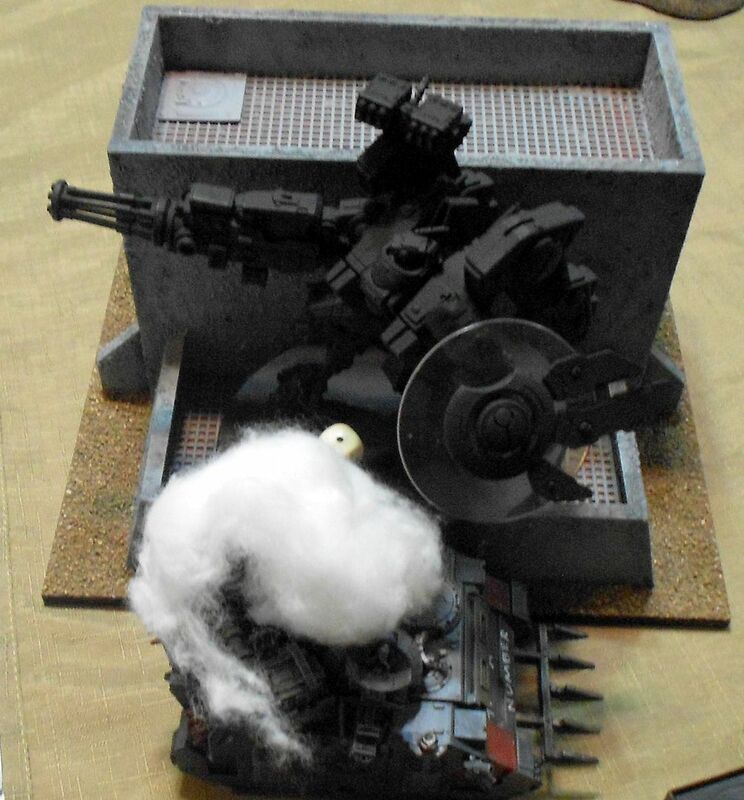 Brother-Ancient Spielberg drops in and targets Farsight's squad. Kills a few drones. I elected for the "scoot right" plan, especially as the 4pt objective showed up on the far right. Speeder shoots into Farsight squad as well, but night fighting cover eats the shots. 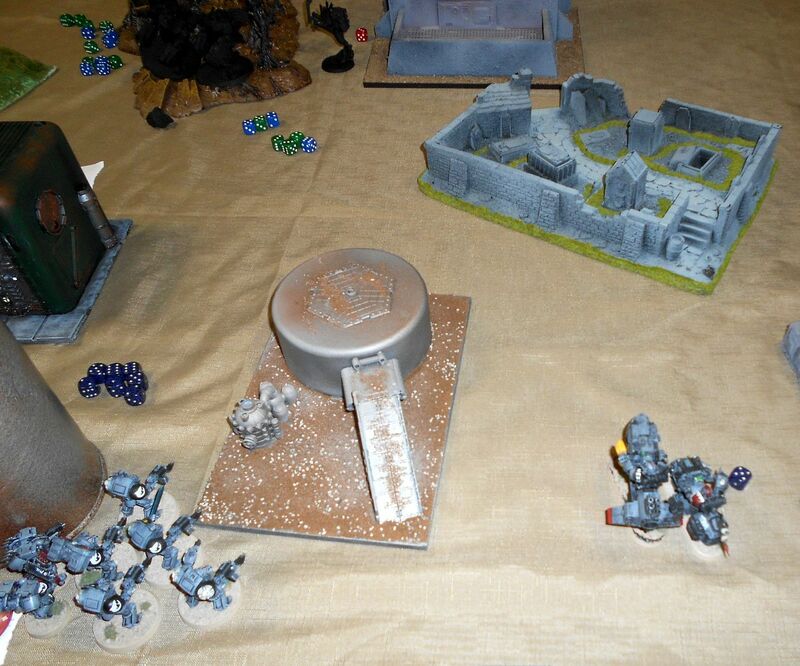 Tau blow up one rhino and kill some marines while Farsight and his crew fusion blaster the Ironclad to slag. Remaining rhino and bikers keep going right. 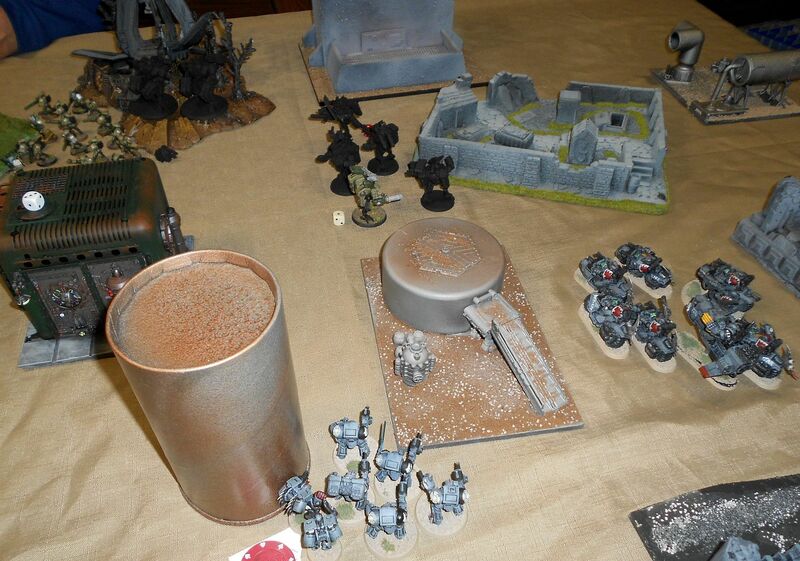 Chapter Master calls down orbital strike on Farsight's squad, scatters and only clips one guy, fails to wound. 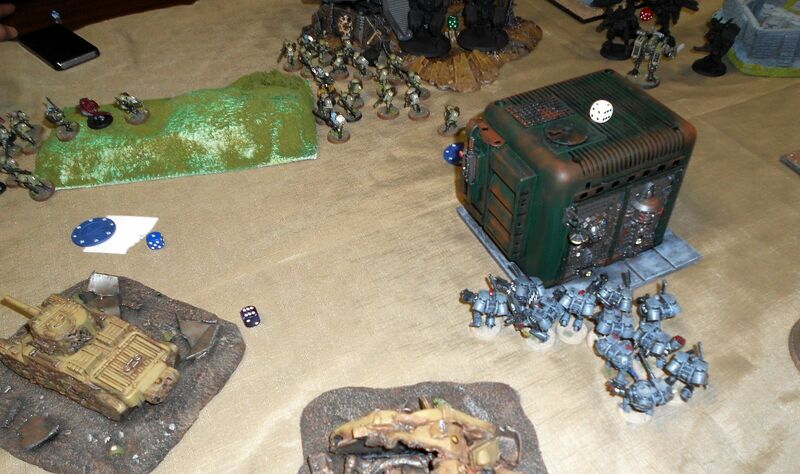 Marines move up and librarian uses psychic shriek to bring a riptide down to one wound. 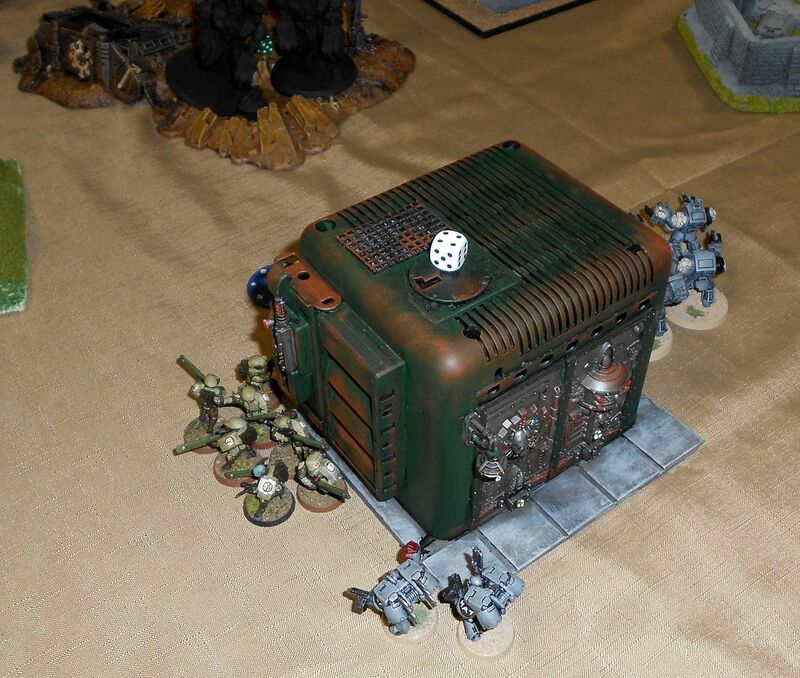 Tactical marines charge in and take the wounded suit down. But they don't survive the retaliation. Their assault squad buddies get shot up too. 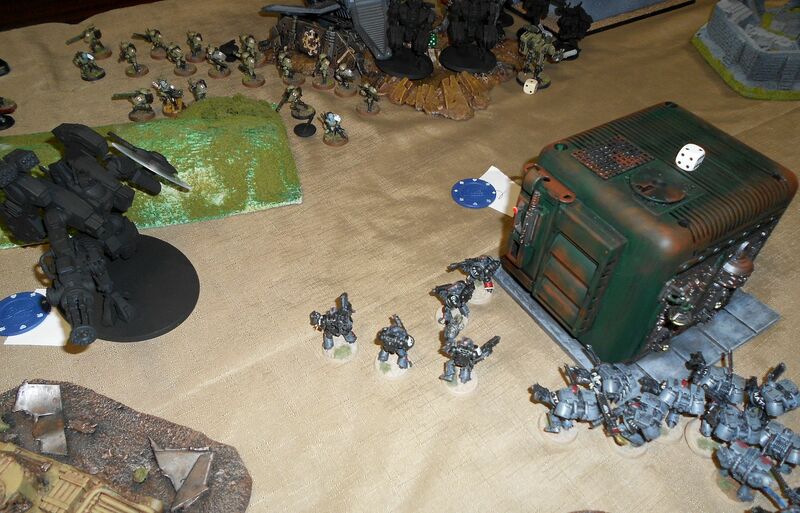 Terminators arrive, and bikers move up towards Farsight. Rhino squad proceeds on to objective. Shooting takes down Farsight's bodyguards and leaves him with one wound, but alive. 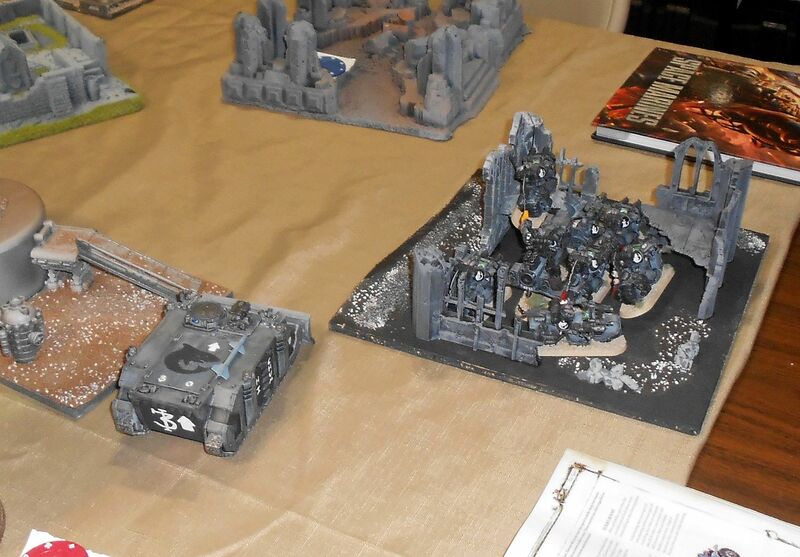 Whirlwind and deathwind launcher on the pod take a toll on the fire warriors, but not enough to break them. Hmm, and we forgot two of the fw squads had gone to ground. Wouldn't have made a difference in the outcome, but I need to remember to use more markers. Stop picking on my fire warriors! Bikers shot up by broadsides. 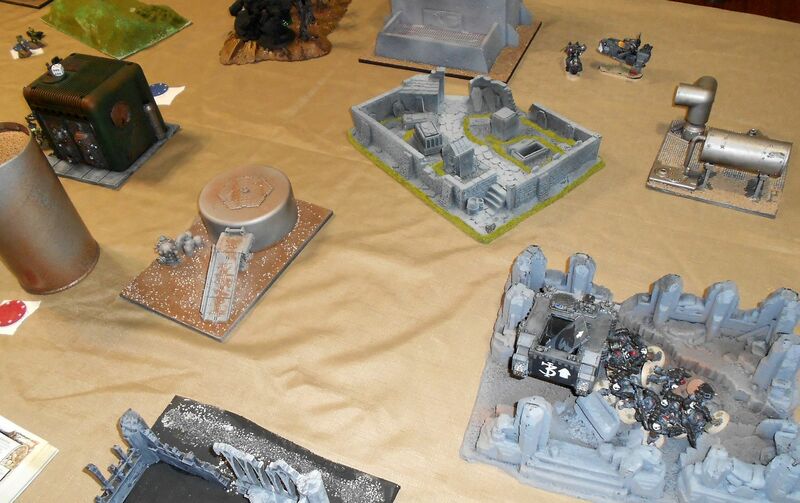 Fire warrior survivors spread out to several objectives. 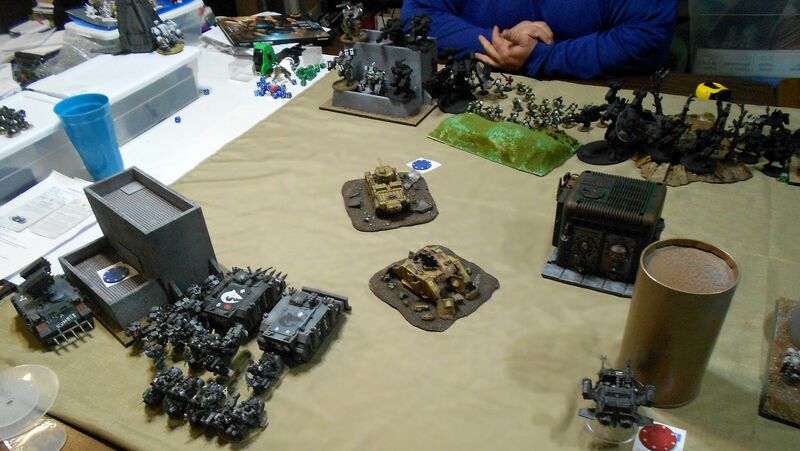 Termies move up, assault squad moves in on an isolated fire warrior squad. 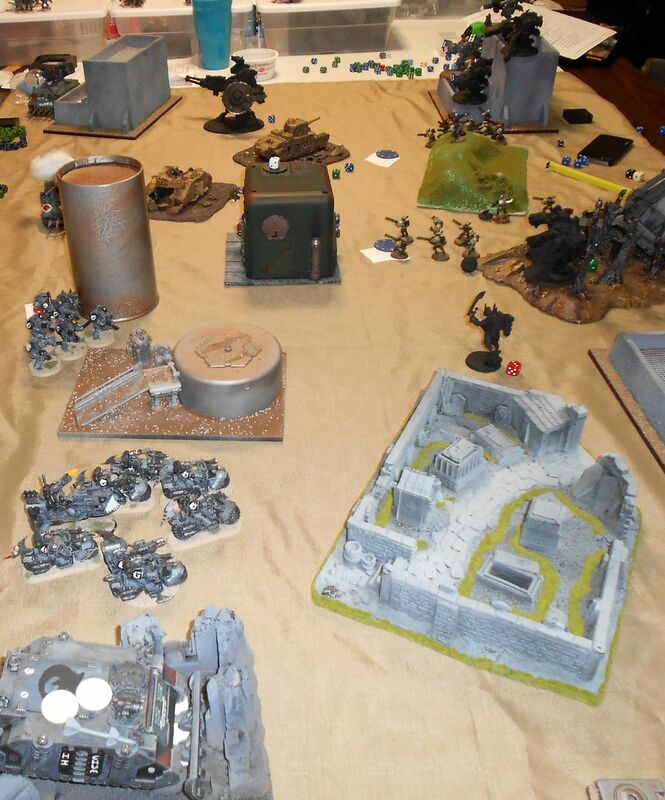 Sgt dies to overwatch, but the other marine makes it in. 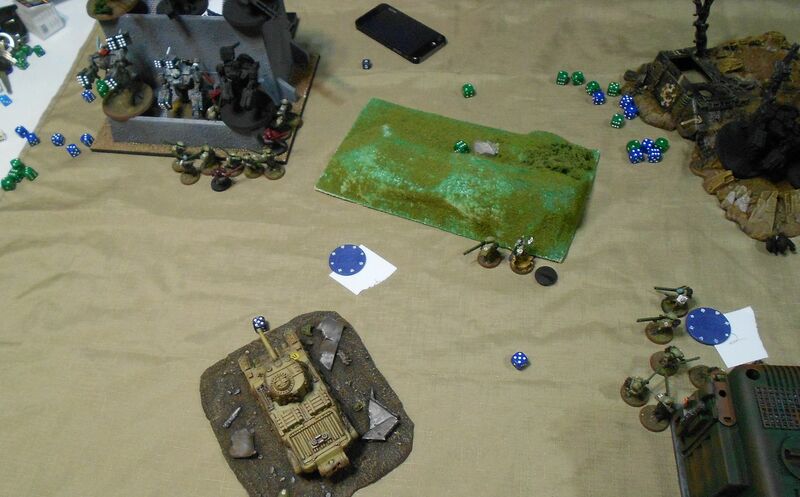 Ties them up for a few turns and kills several, but finally gets pulled down by fire warriors. 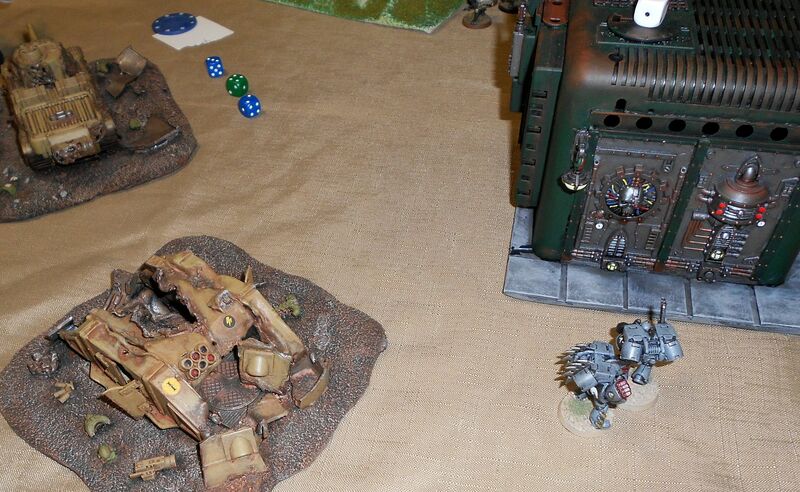 Terminators shot up by riptide and broadsides. Second rhino wrecked, tac squad just hunkers down. Bikers move out to chase Farsight. 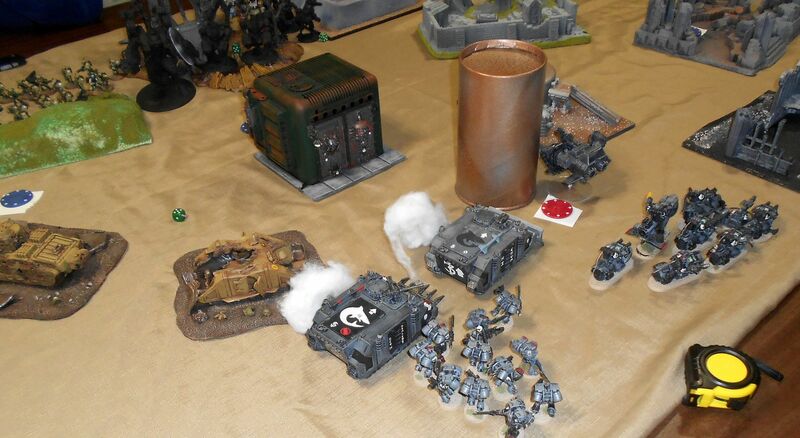 Bikers get shot and die, last assault marine pulled down. End result 12-4 Tau. First game vs. the new Tau, interesting seeing how they worked. Always a pleasure playing Eddie, tough games with a solid, relentless player.